These are some great statistics that show where VMware plays their role in the virtualization world. 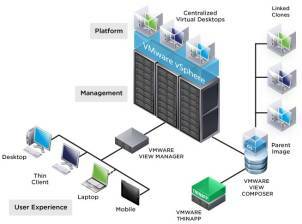 If you never heard of VMware or aren’t sure where to start here are some details to help you get started. Pricing is based per processor and they have various choices for levels of support. vCloud Suite — If you are looking for that all in one cloud infrastructure and want the ability to create an extremely efficient, dynamic datacenter and gear your company toward that Infrastructure as a Service (IaaS). Pricing is also based per processor and have various levels of support/subscription levels. Overall, these are the two major products that VMware has to offer, but within these two ideas, there are numerous editions to help get that proper fit between virtualization and your IT infrastructure.